Have you read our post about the discoveries from earlier this summer? The Egyptian Ministry of Antiquities publishes a very helpful round-up of recent discoveries, events, and projects in Egypt in an accessible PDF format. The latest issue was published in August 2017 (version: English or Arabic). Nile Scribes: Several tombs were discovered in Middle Egypt at a site which saw greater concentrated activity in the later periods of Egyptian history. These newly discovered tombs dated to between the Twenty-Seventh Dynasty (525-404 BC – the First Persian Period) and Graeco-Roman times, and were located near twenty other, similarly dated tombs, that illustrate the site was used as a necropolis during the Late Period. 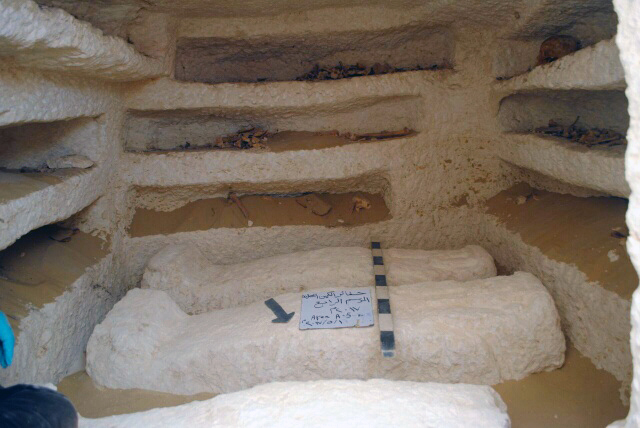 NS: In an area just west of the Dakhla Oasis, far from the hospitable Nile Valley, an Egyptian archaeological mission uncovered five cemeteries dating to the Roman period. Highlights among the finds include a fragmented base of a sandstone sphinx, plates with hieroglyphic and hieratic inscriptions, as well a gypsum funerary mask. NS: A bust of what is likely an ancient Egyptian king was discovered in 1995 at Hazor in Upper Gallilee and believed to have been smashed around 1,300 BC (although the reasons behind this are unclear). In a recent reevaluation, the broken statue was dated stylistically to the late Old Kingdom and was quarried in the only known ancient Egyptian-worked source of greywacke in the Near East. 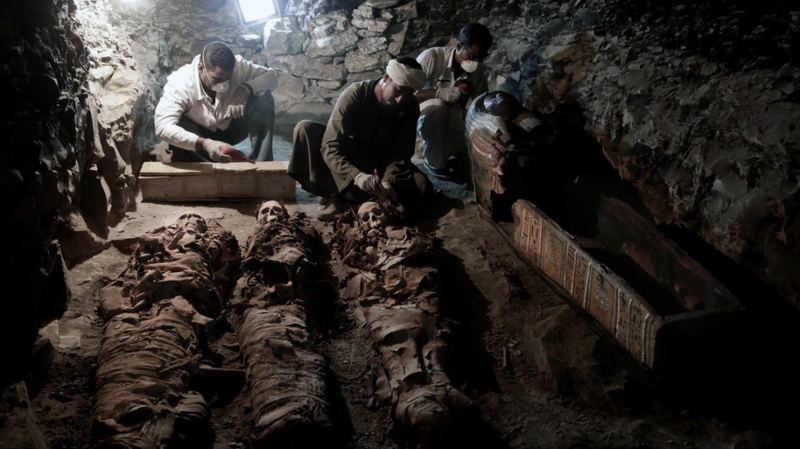 NS: Found by Egyptian archaeologists on Luxor’s (ancient Thebes) west bank, the tomb dates to the Eighteenth Dynasty (1539-1292 BC) and belongs to a goldsmith named Amenemhat, who worked in the service of the god Amun in Thebes, Amun’s cult centre. NS: A cache of 38 statuettes and other small finds was discovered at the Temple of Ptah in the northern part of Karnak in 2014 and the results of this find have only recently been published. While the title suggests these objects were found as part of a burial (that is, a funerary context), they actually belong to a cache of ritual objects, which were buried in the pit during the Ptolemaic period after the objects were taken out of use in the temple (for example, after being damaged) . NS: An exciting find recently discovered at the ancient site of Tell el-Amarna (ancient Akhet-aten), is a small gypsum head (only 9 cm tall and 8 cm wide) of king Akhenaten. It was found at the Great Aten Temple, which he built during his reign. Did you know that you can stay up-to-date with recent discoveries, publications, and news by subscribing to our newsletter? Sign up here!